In the vicinity of the once mighty walls of old Jerusalem, archaeologists found clay seal with the mention of Bethlehem, confirmed that the city lived for centuries before the Bible described as Jesus' birthplace. Israeli archaeologists claim that this is the first source of material, thus confirming the age of the Bethlehem, but this finding is written in ancient Hebrew script. 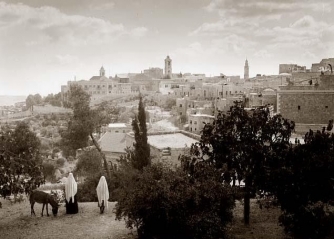 According to the head of excavations Elijah Shukrona the clay slab is likely to monitor the shipment of silver or crops of Bethlehem near Jerusalem in the 8th or 7 century BC. This is the first record of the place names from the period of Bethlehem Temple of Solomon, ie. somewhere between 1006 and 586 BC, that is not in the Bible. Fragment of seal, which is about as big coin, proving that it was Bethlehem, which was first mentioned in Genesis, the actual location of the Jewish kingdom, probably even in old age, archaeologists explain. Discoveries were glad when excavating the city of David, which was held under the auspices of the ancient Israeli authorities. Bull was left with the stamp of the person who sent a particular document or object, which meant that the consignment cannot be open to anyone. On the fragment of the three lines in ancient Hebrew script among others - Bishv'at, Beth and Leche (Lemel) ekh. Shukronu finding suggests that in the seventh year of the reign - the King, otherwise it remains unclear, as this may be Hezekiah, Manasseh, or Joash - shipment sent by the king from Bethlehem to Jerusalem. During the period in which the date the bull, they are applied to taxable items in the Jewish kingdom. has become an important biblical city, where the occupation of the throne of David anointed himself.